Many freeware utilities are developed because the creator needs additional functionality while working at the customer or within his company. In such way also Dennis Smith started creating useful utilities. After a while Dennis combined the utilities in one application set called FASe (Farm Administration Suite), which is offered for on a per farm level as a commercial product. In this review we will look to the components in this suite. 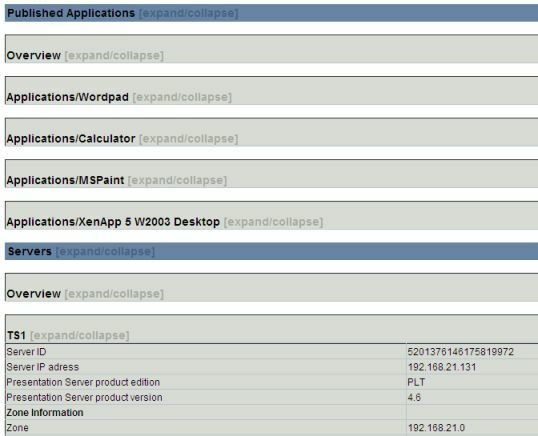 There are three types of the suite dependent of which version of Citrix XenApp (or Presentation Server) you are running. At the moment of writing this article Gourami support Presentation Server 4.0, XenApp 4.5 and XenApp 5.0. Gourami is working at this moment for XenApp6 support. Every installation exists of a single executable. The installation is straight forwarded with the default steps like specifying the destination location, the location in the start menu and creation of shortcuts. The installation does not require a reboot, so you directly use the application. 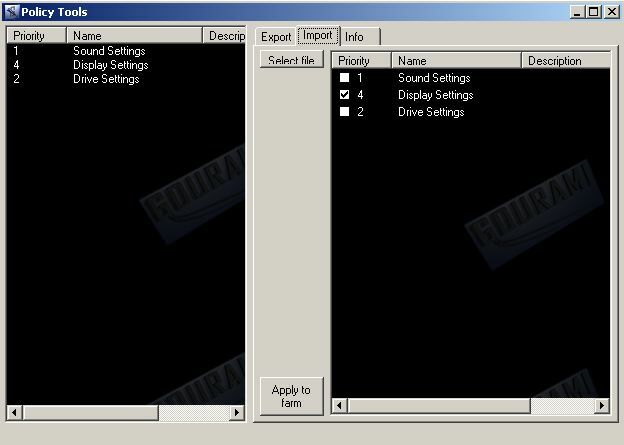 All components are actually several utilities, which can be started one by one, but there is also an overview application showing all components in one window. I will describe the configuration and usage part per component in the following section. This was one of the first releases of Gourami and also one of my favorites. I already wrote earlier about this component when it was available as a (free) beta in this glance at free article. During the time the functionality is pretty the same. The tool can be used to export and import your published applications, so you don't have to restore the complete Citrix datastore when one (or a few) published application is removed or misconfigured. But the tool offers a lot more. The tool also offers multiple edit of Published Applications. 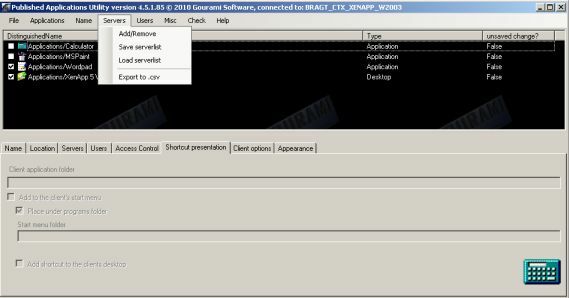 You can add/remove server(s) from one or more applications, add/remove group(s) to one or more applications and change a part of the published application settings (like access control, shortcut presentations, client options and appearance). Also multiple disable and/or hide of Published Applications are available. 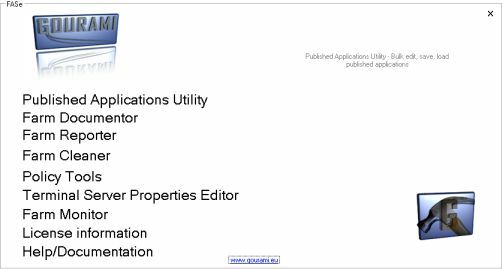 The last functionality PAU offers is the possibility to find and replace text in the fields (of the Published Applications) Application Name, Application Description, Application commandline and application working directory). The Farm Documentor component creates an infrastructure overview of the Citrix Farm for documentation purposes. 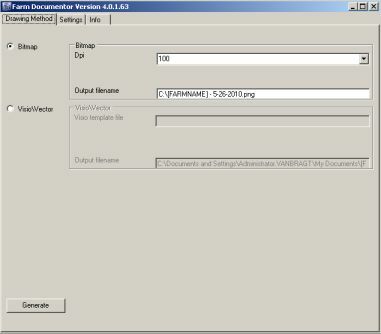 The tool supports two output formats, a PNG file and a Visio file (Visio locally required). Depending of your needs to edit the overview after creation you select the format. The tool determines the available zones, which servers belong to which zone, the server hosting the datastore and the server hosting the Citrix License Server component. You can specify your Web Interface or Access Gateway manually (so they are added to the figure) and which information should be shown of the servers via the settings tab. When creating documentation one of the toughest tasks is to document all Citrix settings available in the datastore. With Farm Reporter those settings can be exported into a HTML file. In the tool you can select which component you would like to document. Farm Reporter creates one HTML file for all selected options, so keep that in mind. After selecting the generate button need to selected and that's all to create the documentation of your farm. One of the basic concepts of Terminal Services is to keep the servers clean. Therefore cleaning jobs should be performed periodically. Farm Cleaner combines several of these tasks in one utility. The tool cleans the profile directory (you can specify which profiles should not be cleaned), temp folder and the spool folder. Farm Cleaner can be started as a GUI, where you can select the server and perform the task (see below figure). However the tool also offers a command line option, so you can schedule the cleaning task (I advise to run the tool at startup of the server, because all locks are cleared during a reboot) for example using Windows Task Scheduling. Be sure that all profiles that should be skipped are mentioned, by default the Ctx_StreamingSvc profile will be tried to clean. Just as the Published Applications settings you would also have the possibility to restore the configured Citrix policies in the case a policy is accidently deleted or misconfigured (and the right settings are not know anymore). With Policy Tools you can export the current policies, which are stored in a single file. In the case a policy need to restored you should remove the actual policy (if still available) first and then select the export file (containing the policy with the correct settings. The available policies in the file are displayed and you can select which policy should be restored. 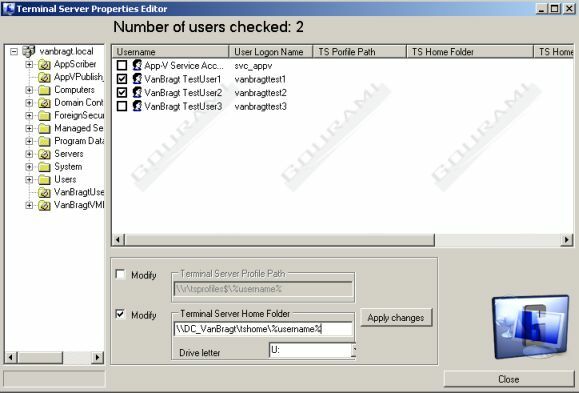 If you are building a Remote Desktop Service/Terminal Service infrastructure in an existing domain infrastructure and you would like to configure the Terminal Server properties within AD then Terminal Service Properties Editor is the tool which makes this is a life a bit easier. 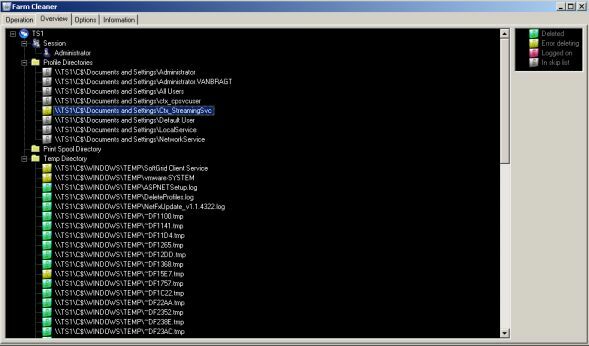 With the tool can you can configure for the seleted users the TS profile, TS Home Directory and the TS Home Drive letter. Personally I'm using the machine Terminal Services GPO for such configuration nowadays. Together with Gourami VanBragt.Net offered this component as a freeware utility for a while, but now it's officially a component of the FASe suite. Farm Monitor shows the current status of the Citrix roles available within your infrastructure and supporting components. The status of the Datastore, License Server, the data collector, the Active Directory Servers and all Citrix Servers within the farm can be monitored. Also services running on the Citrix servers can be monitored. For more detailed information you can check the previous glance at free article about Farm Monitor. The FASe suite exists of several nice utilities, which fills the gap of needed and offered functionalities. When searching for the Internet you would find similar functionality of some components in freeware utilities. However some functionality is not only offered within the FASe suit and for a small amount you have "official" products, so this is big advantage for companies who don't want to use freeware utilities in their infrastructure. Licenses are based on the Citrix farm, so it's difficult to use the application by consultancy companies which deliver infrastructures to their customers.